Clach an Trushel Menhir, Scotland. 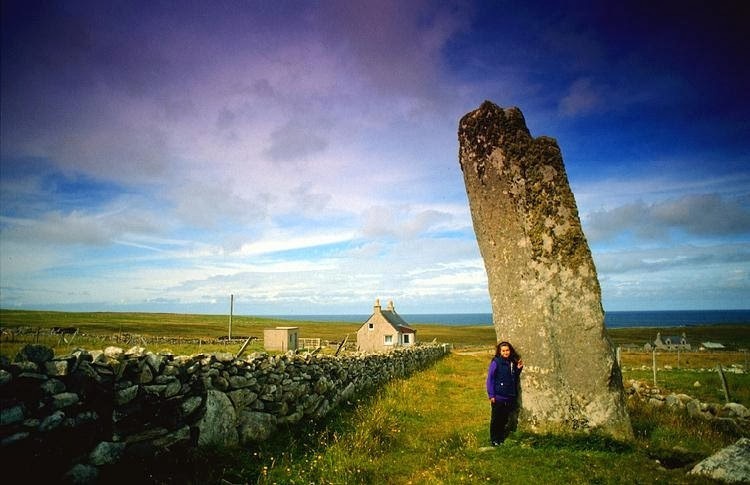 Who were the Megalith builders in Britain, and what purpose did their stone structures serve? Although the common belief is that they were Pagans, there is a wealth of evidence to show that they were the Hebrews and the Sethites of the Bible, and that Druidry was descended from Patriarchal practices. These types of stone monuments do not just appear in Britain, but are found all over Europe, Central Asia and the Middle East, marking out the routes that the Hebrews and Sethites took on their various dispersions, as they expanded across the earth. Callanish Cromlech in the shape of a cross, Scotland. Jacob’s pillar. Whoever painted this has obviously never seen the colossal size of the Hebrew standing stones. From these verses and many more, it can be seen that the tradition of erecting standing stones as monuments to people and events, had a long history with the Hebrew peoples. Even today we still have standing stones named after our Kings and ancient gods, carrying on the same custom as referred to above. 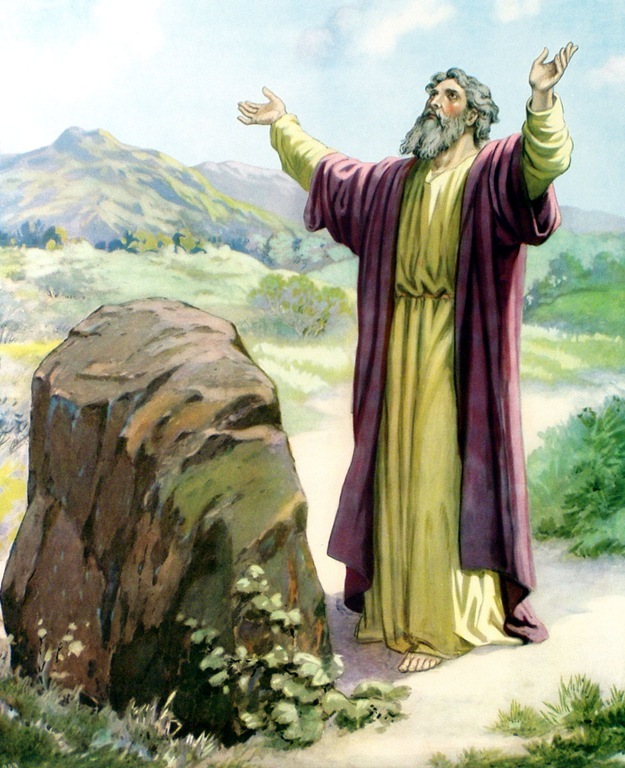 The last instruction there given by Jeremiah, was to the tribes of Israel when they were in captivity in 700BC, much later than the age in which the first stone monuments were created in Britain. He seems to be telling them to go in the direction of the previous dispersions, that left at the time of Moses and before the flood, towards Europe and India where settlements had already been established. Conventional history tells us that the stones were put up by the Phoenicians, which is partially true as the Phoenician colonisers were Hebrew, In fact the name ‘Eber’ which is where we get ‘Hebrew’ from, means ‘coloniser’ in the Hebrew-Phoenician language. From the time of Abraham in 2000BC to Solomon, the Hebrew-Phoenicians dispersed themselves among the native inhabitants of the lands they colonised, absorbing some of their Pagan beliefs and producing the syncretistic cultures we associate with them in Europe, the Middle East and Asia. This is why we see Yahweh’s name mixed in amongst others such as Baal, Ishtar and Tammuz. Those that remained in Phoenicia helped to establish Solomon’s mighty empire around 1000BC. 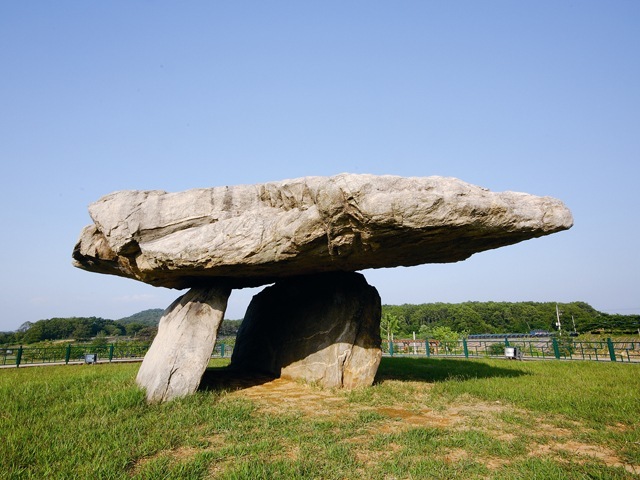 An Aryan dolmen in South Korea, exactly the same as the ones in Britain. They built cities and industrial centres wherever they went, transforming wilderness into farmland and establishing trade routes from Britain in the west, to India and China in the east. There was a great exchange of science and technology between Egypt, Crete and Sumer, which spread along these highways into Europe. They were excellent craftsmen and metalworkers as well as traders, and we find evidence of this in the intricate artefacts of metal, glass, weapons and jewellery in the Cairns that they left behind. Tin from the mines of Cornwall, an area with a huge concentration of megaliths, was used as far afield as India. The Phoenician colonists were the people behind the neolithic culture, and they also brought with them the social structures that grew into our modern systems of law and commerce. There are hundreds of Phoenician coins and inscriptions that have been found around Britain and elsewhere, that indicate that the early Britons were the same people as the Hebrew-Phoenicians. 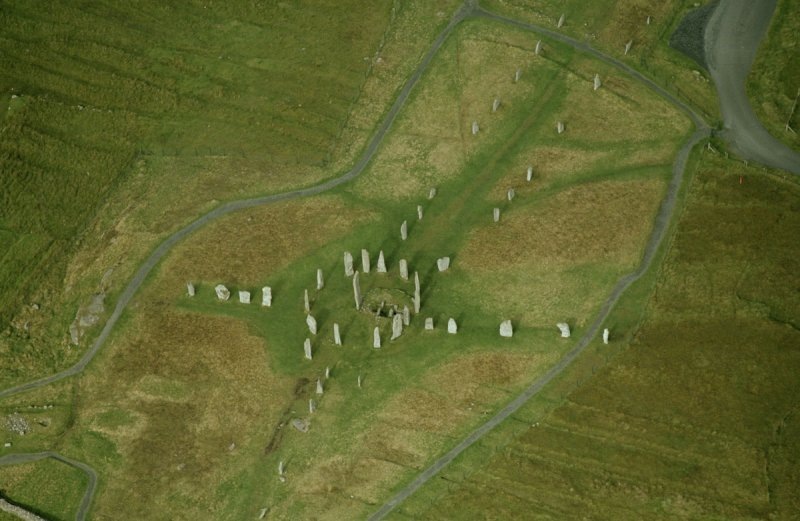 The megalithic structures in Britain all appear to have been built using the same unit of measurement, termed ‘the Megalithic yard’ by Professor Alexander Thom, who surveyed over 300 sites researching it. The exception to this universal system of measurement is Stonehenge itself, which was built using ‘the Royal cubit’, the unit of measurement used for building the great pyramid in Egypt. This implies at the very least, an intimate relationship between the builders of Stonehenge and of the Pyramid, as well as contact and understanding between Sumer and India, since each place used the ‘megalithic yard’ for construction purposes. Thom also confirmed the complicated astronomical alignments that many of the stone structures have. Stonehenge, an ancient observatory built for studying alignments of the sun, moon and stars. 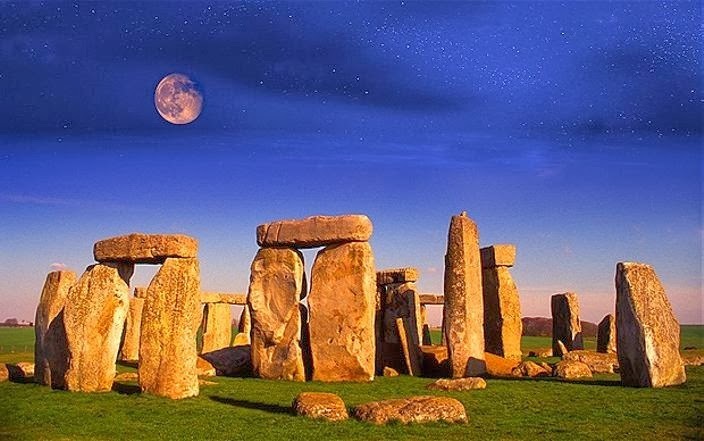 Stonehenge itself can be used to tell the solstice and the equinox exactly, along with the phases of the moon if it was obscured, letting the operators of it know when the correct time to sow seed was. The Aryans are the finest farmers and explorers on the planet, and it was this knowledge of the stars to navigate and tell the time of year by, that facilitated that reputation. Persian, Arabian and Hebrew historical traditions credit Adam, Seth and Enoch with the first understanding of the heavens, and the established date for Egyptian astronomy appears to be around 5,400BC, a date roughly corresponding to the time of Adam. According to Flavius Josephus 94AD, ‘Enoch was the first of the Sethites to learn the secrets of the stars’, and we read in the Apocryphal book of Jubilees ch 4 v 17 that ‘he was the first among men that are born on earth who learnt writing and knowledge and wisdom, and who wrote down the signs of heaven according to the order of their months in a book, that men might know the seasons of the years according to the order of their separate months’. It would have been with technology like Stonehenge, that he was able to do this. In fact the book of Enoch itself, gives detailed descriptions of the courses of the luminaries, and from the measurements of day length given for the specific times of year, it can be calculated that he had to have been in North West Europe in order to make his observations, which is right where Stonehenge and the majority of the worlds ancient star calendars happen to be found. Similar alignments are found between the stone structures of Britain and Europe, and those in the other places the Aryan Hebrews colonised. The stone rows of Carnac in Brittany, have their mirror image in the Do-ring monument in Tibet. Both have alignments drawn from east to west, with a cromlech at the western end. 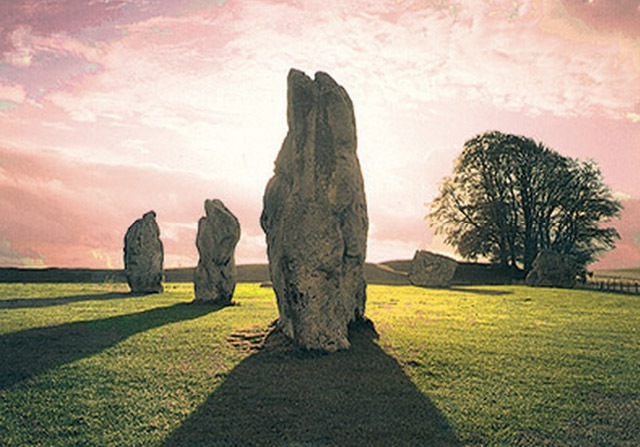 Avebury, which is the largest stone circle in Britain, has its mirror image in Darab, Persia, which is also aligned east to west. 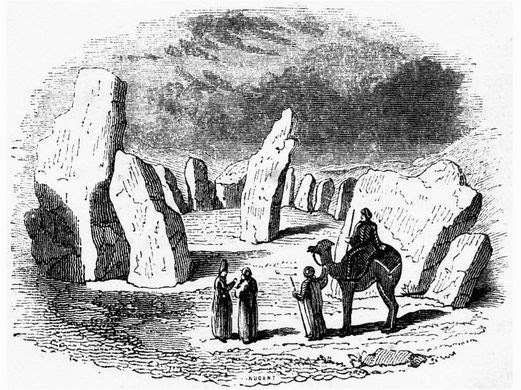 Sir Henry Morton Stanley, famous British explorer was struck by the similarity between a Cromlech on mount Gerizim in Palestine, and the stone circles of Britain. He claims it to be the oldest sanctuary in Palestine, and states that it is nearly identical to the Druidic circles of Britain. Aryan stone circle in Darab, Persia. There isn’t much recorded of Druidry, the original religion of the ancient Britons, as they learnt everything orally and left little writing of their own. The later Druids that Julius Caesar wrote about were not responsible for the construction of the megaliths, but they did still retain aspects of the builders original system of belief in their own, as can be seen by the relative ease with which it evolved into Christianity. Taliesin, a Welsh Bard of the sixth century, wrote of the relationship between the old faith of Britain and the new: ‘Christ, the Word from the beginning, was in the beginning our teacher, and we never lost his teachings. Christianity was a new thing in Asia, but there never was a time when the Druids of Britain held not to it’s doctrines’. The educational system of the Druids can be traced to around 1800BC when Hu Gadarn Hyscion (Isaacson) Hu the Mighty arrived in Britain, with a party of colonisers from Asia Minor. This is written of in the Welsh Triad no 4: ‘The first of the three chieftains who established a colony was Hu, the Mighty, who came with the original settlers. They came over the hazey sea from the summer country, which is now called Defebani, that is where Constinoblys now stands’. 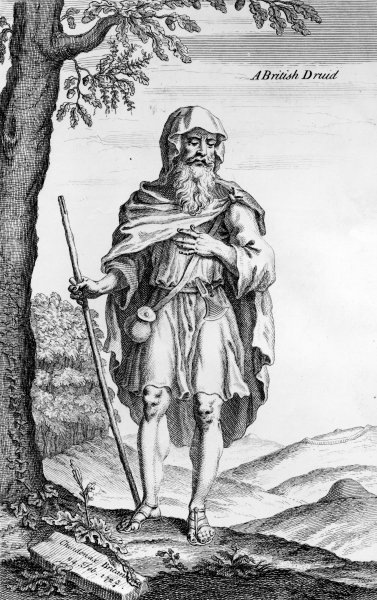 Stukely’s engraving of a Druid. The antiquarian William Stukely also confirms that the original Druidism was introduced into Britain around the period of Abraham. He pronounces it undoubtedly derived from the pure, undefiled religion of the Patriarchs. The reason for his deduction, was the family centred form of worship, where the head of the family acted as priest whilst performing the sacrifice. This goes back from before Abraham all the way to Adam, where the first born from Seth onwards became the priest of the family. There are many other parallels between Druidism and the religion of the patriarchs. Both revered oak trees, with Abraham erecting a dolmen underneath one where he met three angels, as well as Jacob hiding idols within one, which shows that they were held to be sacred and untouchable. Genesis ch 35 v 4. The Druidic law of not using metal tools to shape their altars, is the same as the instruction given by God in the Old Testament. Sometimes the Druids would anoint these stones with rose oil, in the same way that Jacob did, with the first stone monument on record. The Druids also sacrificed animals for the expiation of sin and held to the doctrine of the eternal soul, which according to Pomponius Mela 41AD, was the source of the Britons bravery in battle: ‘One of the precepts they teach – obviously to make them better for war – has leaked into common knowledge, namely that their souls are eternal and that there is a second life for the dead’. The Supreme God of all, was known as ‘Hesus’ or ‘Yesu’ to the Druids, and they had the same expectation of a saviour as their brothers in the Middle East. Both religions made the priesthood exempt from taxation and military service (just like the Brahmins in Aryan India) and both taught similar accounts of creation. Although the Druids prepared the way for Christianity in Britain, with many of them becoming priests in the new order, not all of them converted, and Druidry continued for a few centuries after the advent of Christianity. The reverence for the Druidic holy sites and temples, was respected by the Christian Church, possibly because they knew who had originally chosen the spots and erected the stones. They specifically did not destroy these sites, instead choosing to redirect the worship held at them back towards the one true God of our ancestors. Observing nature in beautiful places that our forefathers sanctified, has always helped us to become closer to God. The mistake that the later Druids made was to see nature itself as God, and to split him up into various separate persons in their own right, when really they were just facets or faces of God, appearing as archetypes in heroic men. They also fell prey to the fallen angels deified by the mingled Hamitic tribes, who had been permitted to encourage men to worship them, to weed out the weak of faith. As the third wave of Adamites came into Europe from the Levant, they brought with them the Baal worship of the Canaanites that they had picked up, and this corrupted the Druid religion and people, in the same way that the Etruscan gods had corrupted the Roman peoples worship. From all this, it can be seen that the first monuments to be erected were by the Sethites, then these were added to later by the descendants of Eber, and then later still by the descendants of Jacob-Israel. They built both the Great Pyramid of Egypt and Stonehenge, and through the ages continued to migrate into Europe, bringing with them their knowledge of the stars, and how to utilise it with the aid of their stone structures. They also carried with them their religion, their law, and their science. As time went on, their beliefs became adulterated with corruptions introduced by the more recent colonists. This explains how Canaanite gods like Bel and Eostre were brought to these shores, and it also explains how Christianity became so quickly accepted by the British people. It was nothing more than a return to their original customs and beliefs, and the fulfilment of the Druidic anticipation for a messiah. The Neolithic megaliths and the practices of Druidry, turn out to be yet more evidence of the true identity of the British and European peoples, as the Aryan tribes of Israel and the people of God’s covenant. This entry was tagged Ancient Astrology, Ancient Astronomy, Ancient Britons, Builders of Stonehenge, Druids, Enoch, Hebrews, Megaliths, Phoenicians, Sethites, Standing Stones, Stonehenge, Sven Longshanks. Bookmark the permalink. So the astronomically sophisticated ancients could measure the earth by this method of timekeeping, the methodology which is embodied in the dimensions of the Great Pyramid of Giza, as explained in article #2 at http://IceAgeCivilizations.com, the numbers from the methodology which were utilized in the ancient norse story about Hamlet’s Mill, and in the hindu yugas of time, denominated in the precession number 43,200, half the number of seconds in a day (according to nautical mile timekeeping), all revealing that the ancients’ base 60 math was derived from this mapping method explained in the link, measured with devices such as the Antikythera Mechanism, Maui’s Tanawa, the Mayan Staff of Power, and the Celtic Cross, whose modern facsmile, used for nautical navigation, is made by inspiration from the Dixon Relics which were found within the Great Pyramid of Giza. Pingback: Supporting Evidence for Christian Identity Doctrine | EXPEL THE PARASITE!